I know we’re 9 days into 2018, but as this is my first post of the year I’ll take this chance to wish you all a very Happy New Year! The year started badly for me, with all 3 of us getting flu. I’ve had bad colds before but this was my very first time getting flu. Not bad for 43 years, but it is definitely something I wouldn’t want again thank you very much! 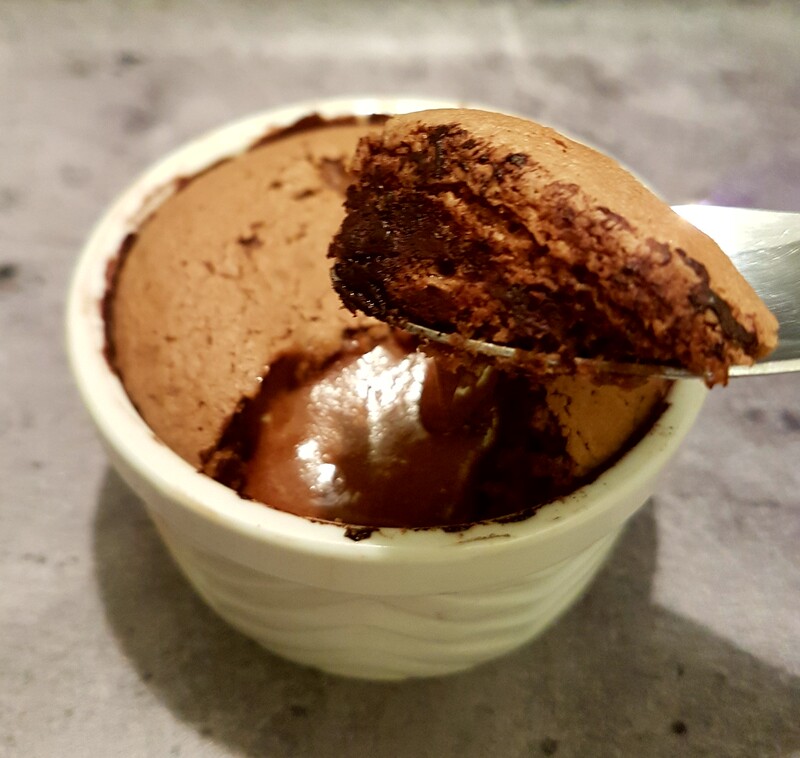 When I started to feel a bit better I decided to make my favourite CHOCOLATE AND BAILEYS MOUSSE to cheer myself up. It looked yummy as always, but sadly I quickly discovered my taste buds had gone so I didn’t enjoy it. Yesterday I finally got my taste back so thought I would make it again as I missed out before, but when I went to my cupboard I realised I didn’t have enough gelatine. 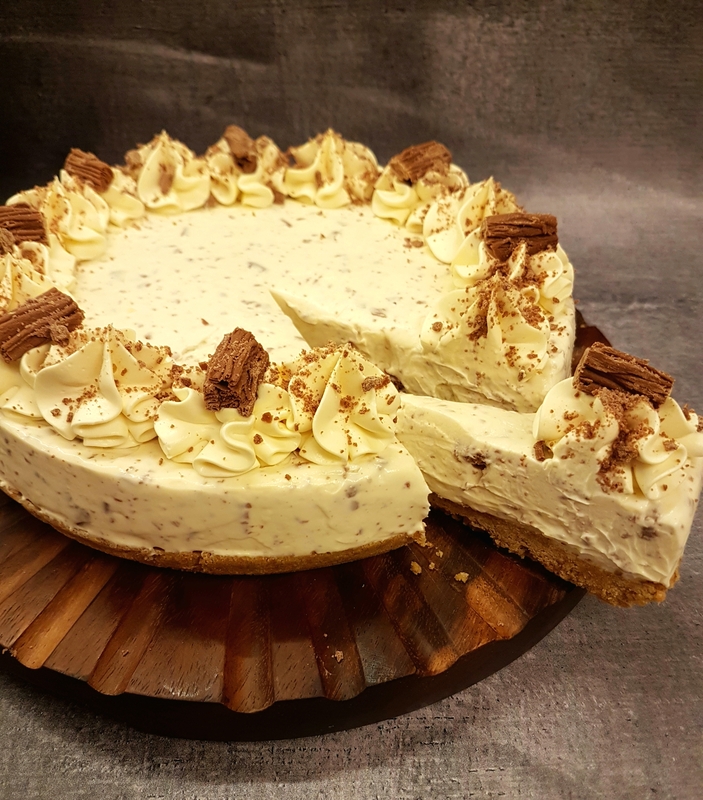 Not to be put off, I made a no-bake cheesecake based on it instead. Oh my word, it was soooo scrumptious! I absolutely love the mousse, but think the cheesecake is even better! Literally anyone can make this, it is that easy, and no stage of it can go wrong, so you are guaranteed a delicious creamy dessert. The actual preparation is very quick too but it does need a few hours to firm up in the fridge. It can be made the day before you need it, in fact it is perfect if left in the fridge overnight. I had a slice of mine today as a mid-morning treat and it was even nicer than yesterday (and it was amazing yesterday)! BISCUIT BASE: Line a 20cm cake pan (springform is best for cheesecakes for easy removal) with foil. Completely cover the inside of the pan, pressing the foil down well to get rid of large creases. Place the digestive biscuits in a food processor and blitz until the biscuits have turned into small crumbs. If you don’t have a food processor, place the biscuits in a ziplock bag, press the bag to remove any air before closing, and bash them with something like a rolling pin until you have small crumbs. Add the melted butter to the biscuit crumbs and mix well. Tip the crumb mixture into the foil-lined pan, spread the crumbs to cover the base, and press down firmly with the back of a spoon. Make sure you go right up to the edges. Place in the fridge for at least 30 minutes. CHEESECAKE TOPPING: Place the cream cheese in a large bowl and beat until it is smooth and creamy. Add the icing sugar and mix well. In another bowl, whisk the 220 ml double cream until it is quite firm and thick. Add the whisked cream to the cream cheese mixture and fold them together, using a spatula or large spoon. Add the Baileys and continue folding the mixture until it is well combined and smooth. (It will be lovely and thick but with no lumps). While the Flake bars are still in their packets, use your fingers to roughly crush them up. You want to make a mix of sizes of chunks so don’t overdo it. Tip the chocolate into the cheesecake mixture and fold in gently until evenly distributed. 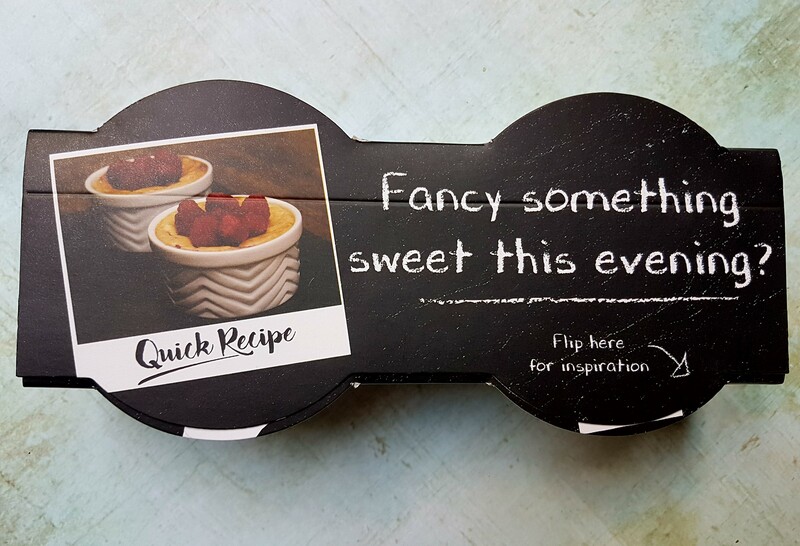 Spoon the cheesecake mixture on to the chilled biscuit base and use a small spatula or the back of a spoon to spread it evenly up to the edges. Place the cheesecake in the fridge and chill for at least 3 hours (preferably more or overnight). DECORATION: Remove the cheesecake from the pan using the foil to lift it out, then carefully peel the foil off the cheesecake, and place the cheesecake on to a serving plate. 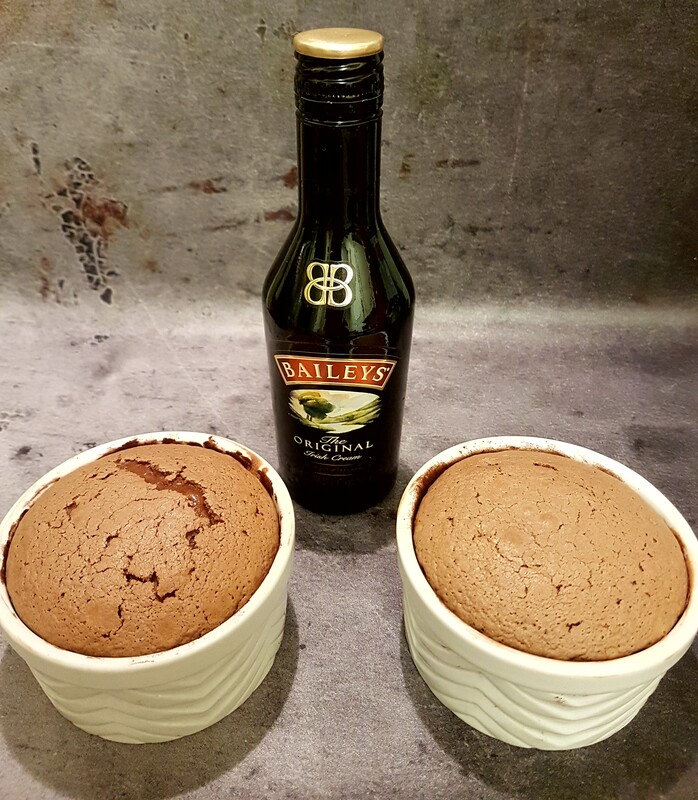 Place the 150 ml double cream and the 1 tbsp Baileys into a small bowl and whisk until it reaches soft peak stage. The cream will be thick but still creamy and when you lift your whisk out, small peaks will form but the tips of the peaks will fold back over. Spoon the cream mixture into a piping bag fitted with your choice of nozzle, and pipe the cream on the top around the edge. 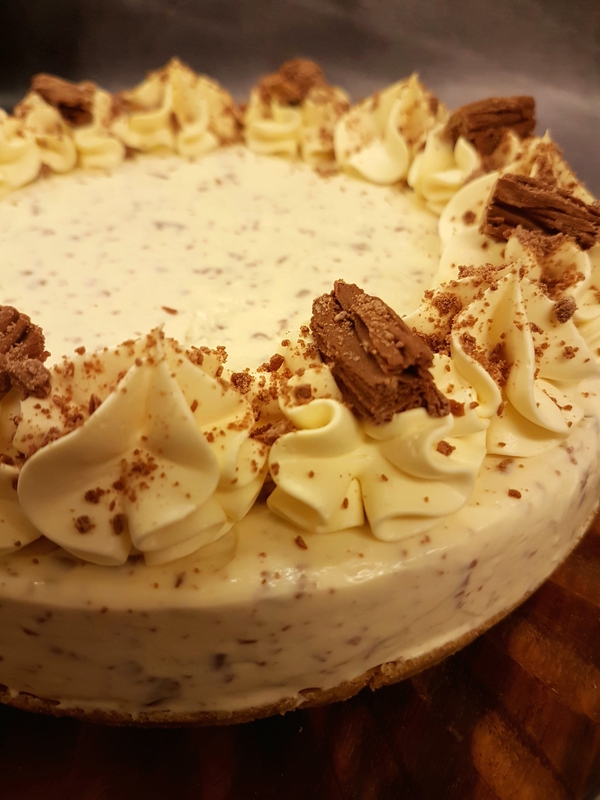 I piped 16 rosettes on mine (hold the piping bag vertically with the nozzle just above the cheesecake and squeeze the bag slowly until the cream mixture makes a pretty shape on the top… repeat all the way round). Take the Flake bar out of it’s wrapper and carefully cut it into pieces. Place one piece on to alternating cream rosettes, and crush up the remaining chocolate. Sprinkle this all over the cream decorations. Serve and enjoy! Or return it to the fridge until it is needed. This cheesecake will keep well in the fridge for a few days, as long as the cream and cream cheese would still be in date. I hope you love this as much as I do! 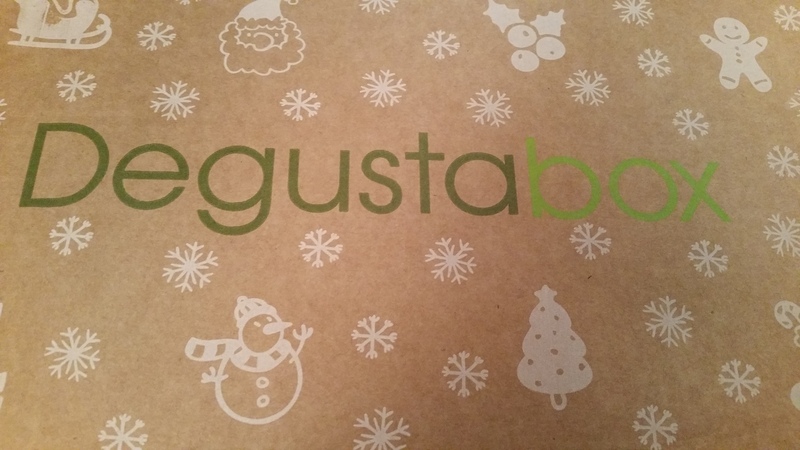 I was so excited when the festive Degustabox arrived in November. It contained so many yummy treats… chocolate, alcohol, glittery jelly, those all important Christmas pickles… the list goes on. Even the actual box itself was festive! 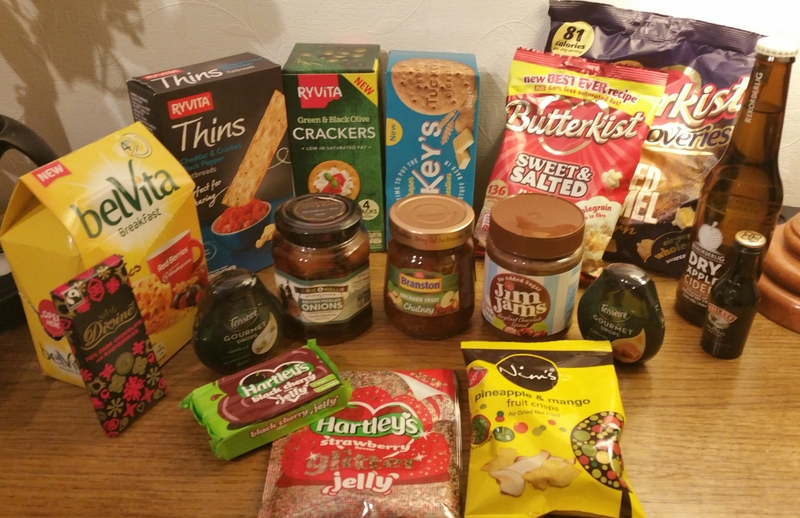 In case you haven’t read past posts about them, Degustabox is a monthly subscription surprise food box which costs just £12.99 a month and that includes delivery! Bargain! The goodies you receive are actually worth around double the cost and are often things you might not have heard of or tried before. It has introduced me to quite a few products and brands I wasn’t aware of before, and I can’t recommend it highly enough. The price is fantastic, especially considering the amount and quality of treats, but as an added bonus they have very kindly said if you use the code BLDEG15 at checkout, you will receive a £6 discount on your first box! So that makes it just £6.99 INCLUDING delivery! Click HERE to go to their website so you can try it yourself. BOURNE & WALLIS:These are a British pickling company using vegetables sourced mainly from East Anglia. I received a jar of delicious pickled onions which was perfect as I always buy some anyway for Christmas. Can’t have a turkey sandwich without them! These ones were extremely flavoursome. Sharp but sweet. Just as they should be. I will definitely look out for this company’s products in future. RRP is £1.40. 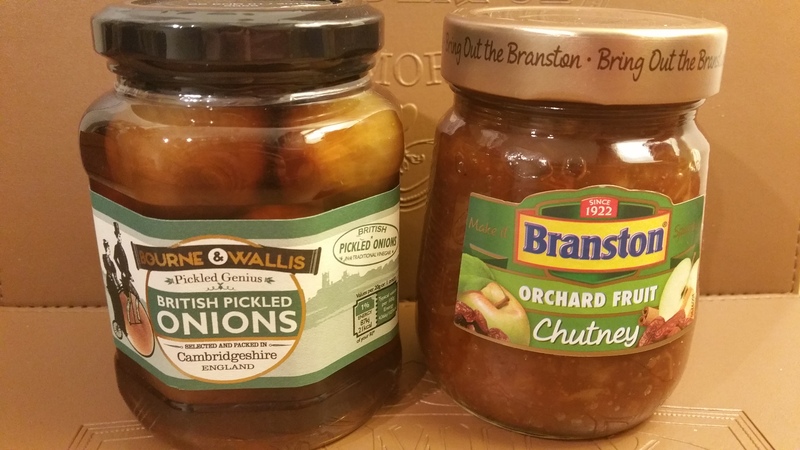 BRANSTON: We all know Branston for their famous pickle, but I had never tried this product before. I received Orchard Fruit Chutney. It is a spiced chutney made using apples, sultanas and dates and they recommend serving it with Stilton or pork. Well I had Cheddar and I had a ham so tried it with both of those. Amazing! Sweet with a bit of a kick. (Sounds like me!!!) I really enjoyed this. RRP is £1.49. 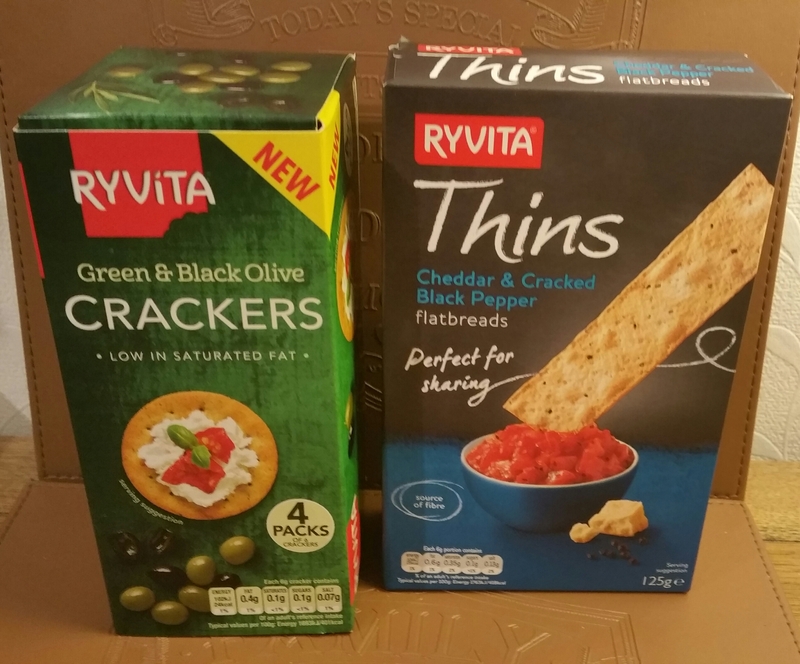 RYVITA: There were 2 products from this well-known brand, neither of which I had tried before. The Green and Black Olive Crackers were nicer than I was expecting. There were 4 packs of 6 crackers in the box, so a lot of value! They are low in saturated fat, and each cracker contains just 24 calories, so great for a healthy snack. The serving suggestion on the pack is to try them with feta and sun-dried tomatoes. I had neither so tried them with cream cheese. A pleasant surprise. These have a RRP of £1.29. The other product was Cheddar and Cracked Black Pepper Thins. I really really really liked these! In fact I liked them so much I was sad when I ate them all. They are perfect for dipping, and I had them with houmous, and with a relish. But mostly I ate them straight from the packet as they were so moreish! They leave your mouth tingling from the cracked pepper but that’s a good thing. They are a source of fibre, and have 25 calories per flatbread. Delicious! The RRP for these is £1.89. 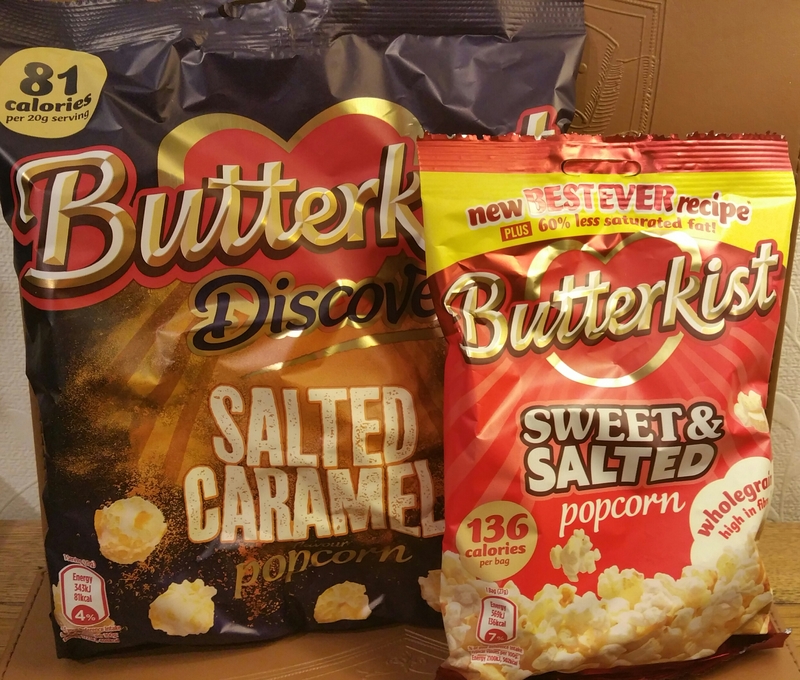 BUTTERKIST: There were 2 treats from this brand too. First was their Discoveries Salted Caramel Popcorn, which was very tasty. There was just the right amount of flavour and were very light. The other product was their Sweet and Salted Popcorn. This was delicious. This flavour can often be too salty for my liking but this was perfect. I didn’t get to eat much of these 2 treats though as my Other Half and my son tucked in and ate them before I had chance to blink!! The RRPs for these are £1.49 and 55p respectively. TEISSEIRE: I received 2 packs of Gourmet Drops, one Caramel and one Vanilla. These are naturally flavoured coffee syrups with no added sugar. We recently bought a Tassimo coffee machine, so tried these in hot chocolate and in coffee. You only need a tiny bit as the flavours are very strong, but we all loved them. I tried a couple of drops in buttercream for cupcakes too and it was yummy. I had never heard of these before so was really happy to be introduced to them. The RRP is £2.79 each. 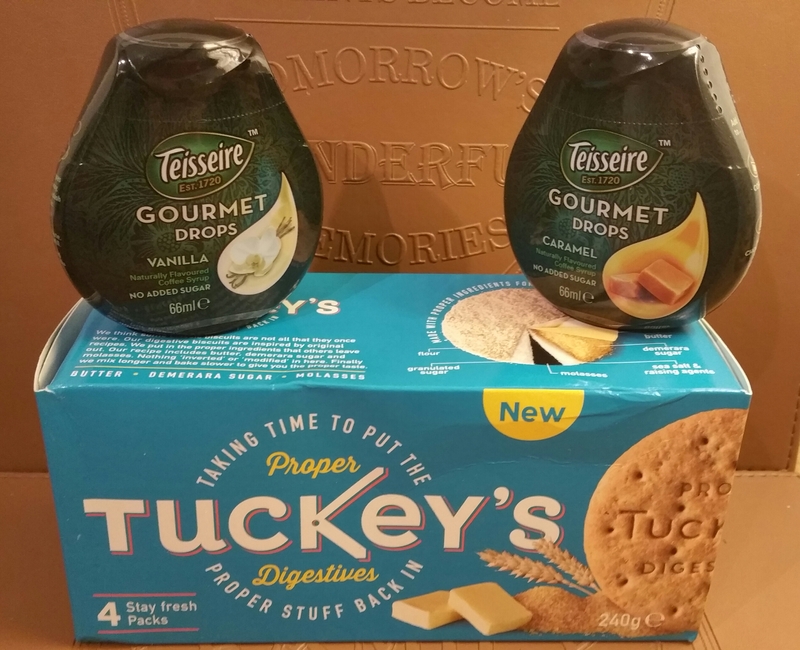 TUCKEY’S: I received Proper Digestives. Tuckey’s believe that classic biscuits are not the same as they used to be, so their biscuits are inspired by the original recipes. No inverted or modified ingredients, just “proper” ones. The result is a biscuit which doesn’t taste as sweet as a well-known brand’s version but is still delicious. The box contains 4 stay fresh packs of 4 biscuits, so they keep well in a cupboard. These are perfect for dunking into a cuppa, or eating with cheese. Also perfect for cheesecake bases and rocky road style treats. One of the most versatile biscuits. The RRP is £1.80. 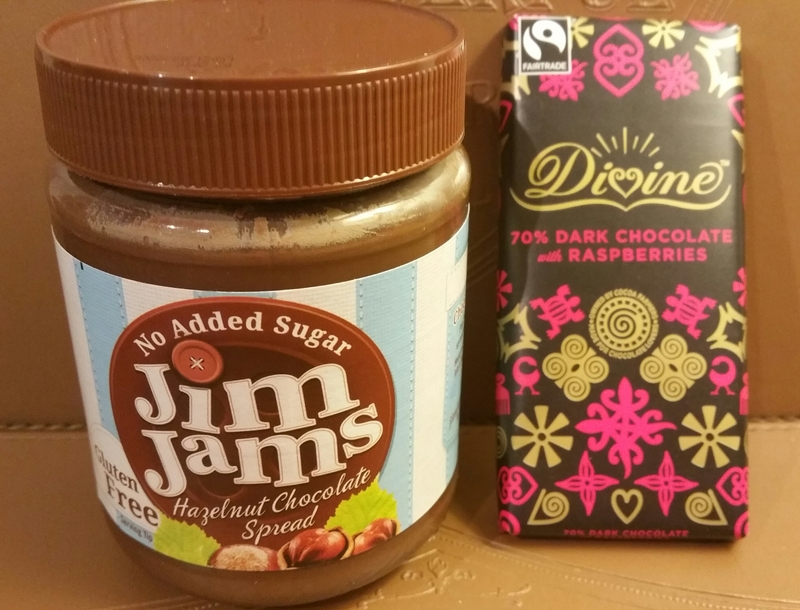 JIM JAMS: I received Hazelnut Chocolate Spread, which I was very excited about! I love a certain well-known other chocolate spread brand so was curious to see how this compared, as this one is a no added sugar version. I did a taste test with a teaspoon of each for all 3 of us. We all preferred the Jim Jams spread! Even though there is far less sugar than the other brand, it still tastes sweet and full of flavour. To be honest, comparing the sugar amounts of both, I was absolutely shocked by how much is in the other brand. Jim Jams proves it is completely unnecessary! It is sweet and creamy and chocolatey and nutty all in one. Gorgeous! It is gluten-free and uses fat-reduced cocoa too. This was my favourite item this month, as I know I will use it in many many bakes in the future, and I won’t feel guilty eating it or giving it to my son. I just need to buy some more first!! My personal serving suggestion for this would be treat yourself to a luxurious Choc Dip (remember them from childhood? ), grab some breadsticks, open the jar and have fun! I can only find this to buy online and in some garden centres, and the price seems to be around £3.99. Well worth every penny! DIVINE: I received the 70% Dark Chocolate and Raspberries bar of chocolate. Divine by name and divine by nature! This was my very own treat just for me, as no one else in our house likes dark chocolate. It was so rich and just beautiful. Divine is a Fairtrade company which is 44% owned by the smallholder farmers in Ghana who supply the cocoa. I’ve read a lot of horrific articles lately about the detrimental impact that palm oil production is having on rainforests and especially orangutans. Anyone who knows me knows that I am a huge animal lover and hate to hear about any threats to habitats, wildlife etc. Why am I going on about that? Well Divine don’t use palm oil in any of their products, and that makes me happy as quite a few chocolate brands do. It is suitable for vegetarians and has a RRP of just £1. 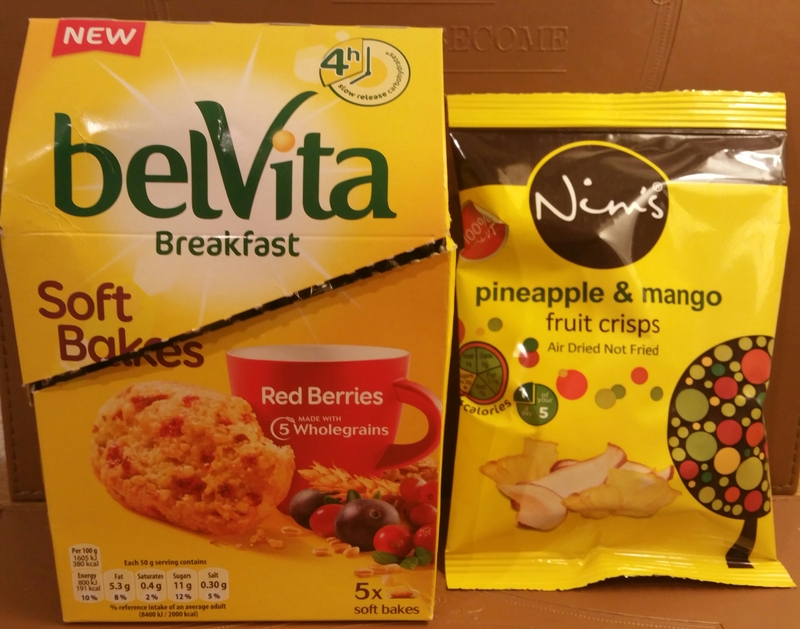 BELVITA: I received the Breakfast Red Berries Soft Bakes, and what a gorgeous start to the day these provided. There were 5 individually foil wrapped bakes in the pack, and you can also get them in Golden Grain, or Chocolate Chip varieties. I’m glad I had the berries ones as they were delicious. They are soft but chewy, and packed with goodness. They are made with 5 wholegrains, and are a good source of fibre, vitamin B6, folic acid, magnesium and iron. They have 191 calories per bake and make a perfect grab-and-go breakfast on a busy day. I will be buying these in the future. The RRP is £2.79. NIM’S FRUIT CRISPS: I received the Pineapple and Mango variety. These were beautiful. They are different from freeze-dried fruit snacks, as these are pure fruit which has been just sliced and dried. They have a beautifully crispy texture and a very fruity flavour. There are many flavours including Apple and Strawberry, and Pear and Kiwi. These are ideal for children’s lunchboxes, and are high in fibre and vitamin C and count as 1 of your 5 a day. The RRP is 99p. 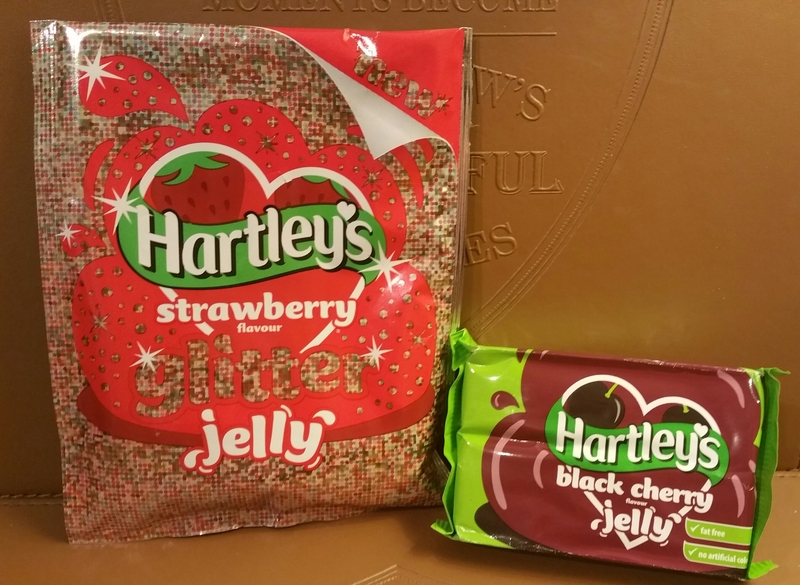 I already buy the different flavour jelly cubes and love them, and I will definitely buy the glitter jelly again. It is also available in raspberry flavour. These jellies have a RRP of £1.29 for both. 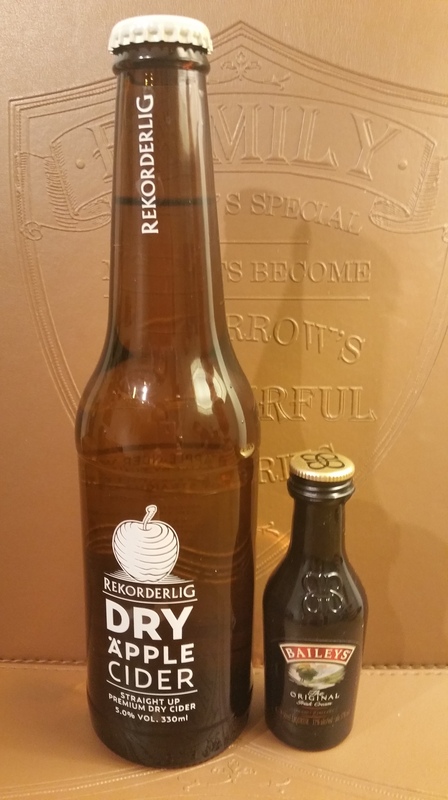 REKORDERLIG: I received the Dry Apple Cider. Amazingly I haven’t tried this yet as I am saving it for this Nigella Lawson recipe and just haven’t had chance to make it yet. I shall very soon. It is a lovely light colour, and I’m looking forward to a sneaky little glass as there’ll be 80 ml spare. Perfect! The RRP is £1.49. BAILEYS: The very lovely people at Degustabox gave us all a miniature bottle of Baileys as a little Christmas present, so I don’t know what the RRP is for this. I was over the moon to see it as I absolutely love Baileys! As a drink, poured over ice cream, mixed with buttercream, I’m really not fussy. I just love it! This size bottle is perfect for my Chocolate and Baileys Mousse recipe as you only need a few spoonfuls for this. Or just pour over ice, and enjoy! Thank you for the treat Degustabox. I loved it! The combined RRP total for all these products was over £27 and that’s not including the Baileys. To think you can have them for just £12.99 is brilliant, but then amazing when you take into account the £6 discount code! You could have a similar box for just £6.99 including delivery. Don’t forget to use code BLDEG15 at checkout HERE. 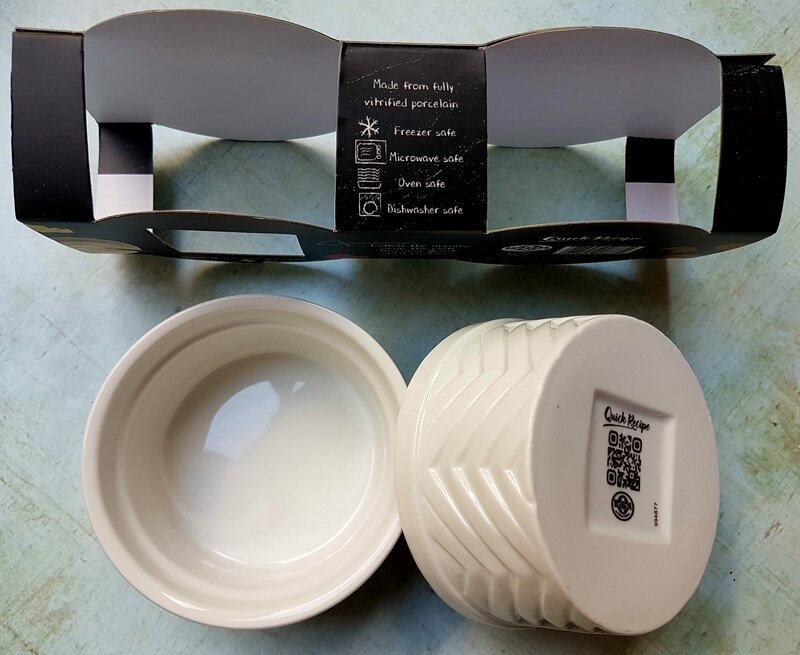 DISCLAIMER – I received this box for free to review but all views are my own honest opinions and not influenced by anyone else. I don’t believe in giving dishonest opinions as they are not helpful to anyone and completely against all I believe in. Thank you for reading. Do I have a treat in store for you today!! 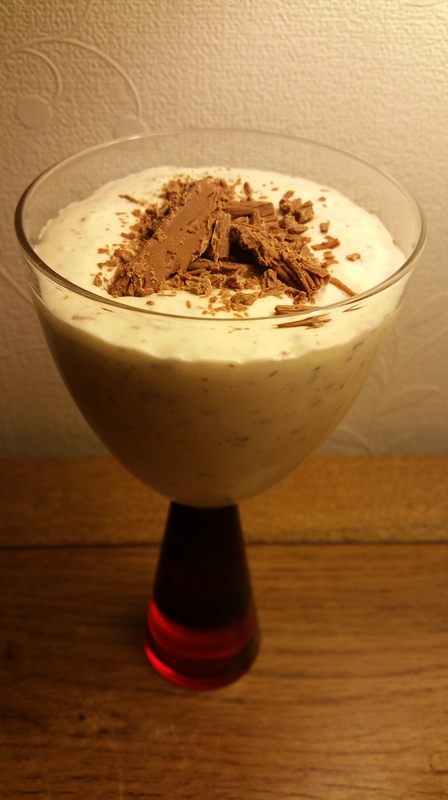 A friend gave me this recipe a long time ago and I added a bit more Baileys and a bit more chocolate to make it extra indulgent. It is very rich so you probably wouldn’t eat as much as I put in the wine glass in the picture. Obviously I wouldn’t either of course, I just put that much in to show you…erm… what a piggy portion would look like. Ok so I might have eaten that much. Alright, alright, I did! I couldn’t resist. This is a perfect dessert for dinner parties, or just something delicious to share with friends. 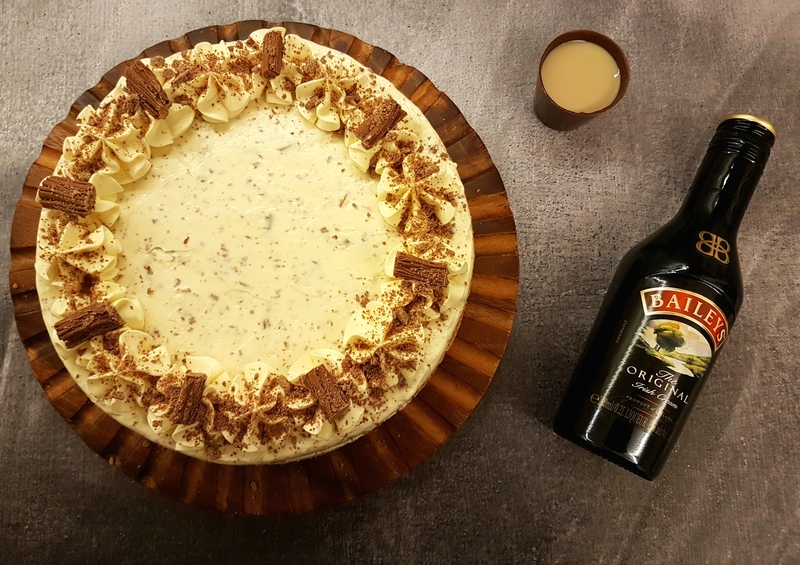 It has been the sweet accompaniment to quite a few girls nights in, along with the rest of the bottle of Baileys 🙂 Here is the recipe. Using the cream and yoghurt at room temperature allows the gelatine to mix in perfectly. If you use them straight out of the fridge, the gelatine will set in stringy lumps as you fold it in, as cold temperatures strengthen it. I can tell you from personal experience, that doesn’t taste nice!! 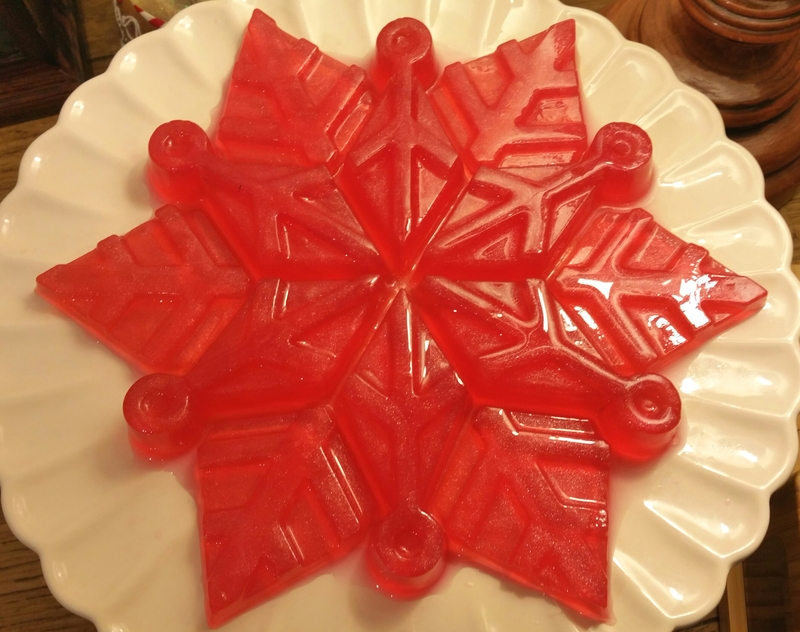 Place the gelatine and boiling water in a small bowl over a pan of barely simmering water. Make sure the bowl does not touch the water in the pan. Stir until the gelatine has dissolved. Leave to cool slightly but do not let it set. Pour the yoghurt, cream, sugar and egg yolks into a large bowl and whisk together until it has thickened and the whisk leaves a soft pattern in the mixture. In a clean bowl, whisk the egg whites until stiff. Very gently fold into the cream mixture with a large spoon or spatula. Use the lightest touch possible to keep as much air in as you can. Add the Baileys and the Flakes, and fold in gently. Pour the gelatine into the mixture and fold in until all combined. Spoon into a large serving dish or individual glasses and chill in the fridge until set. Decorate with extra chocolate or enjoy as they are.